*Please also note PDF artist bio under EPK heading. 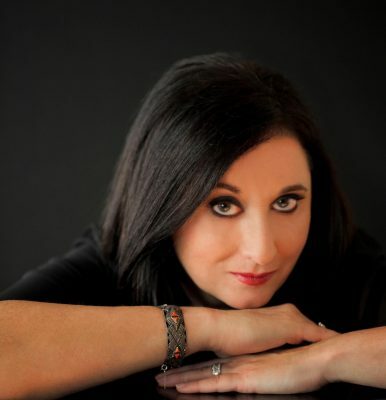 Renee Rosnes is one of the premier jazz pianists and composers of her generation. Upon moving to New York City from Vancouver, Canada, she quickly established a reputation of high regard, touring and recording with such masters as Joe Henderson, Wayne Shorter, Bobby Hutcherson, J.J. Johnson, James Moody, and legendary bassist Ron Carter. She was a charter member of the all-star ensemble, the SFJAZZ Collective, with whom she toured for six years. Ms. Rosnes has released 17 recordings, and has appeared on many others as a sideman. In 2016, Written in the Rocks (Smoke Sessions) was named one of ten Best Jazz Albums of the Year by The Chicago Tribune, one of the Best Albums in all genres of music by The Nation, and was awarded a 2017 Canadian Juno (her fifth Juno award). JazzTimes wrote, “Ms. Rosnes delivers conceptual heft, suspenseful compositions and mesmerizing performances,” and DownBeat praised it as “an exceptional achievement” stating “Rosnes is a virtuoso composer.” The band’s most recent session, Beloved of the Sky (2018) draws inspiration for the title track from Canadian painter Emily Carr, and features master musicians Chris Potter, Steve Nelson, Peter Washington and Lenny White. Renee has produced concerts at Jazz at Lincoln Center, the New Jersey Performing Arts Center, and the 92nd Street Y in New York City. Renee is also the music director for ARTEMIS, a new all-star international band featuring the vocalist Cécile McLorin Salvant, clarinetist Anat Cohen, trumpeter Ingrid Jensen, tenor saxophonist Melissa Aldana, bassist Noriko Ueda and drummer Allison Miller. 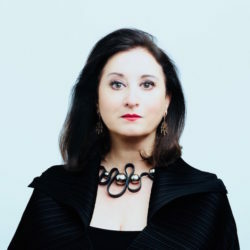 Over her 30 year career, Rosnes has collaborated with a diverse range of artists, from established masters such as Jack DeJohnette and tabla master Zakir Hussain, to younger giants such as Christian McBride, Chris Potter, Nicholas Payton and Melissa Aldana. She is a formidable composer and in 2003 was named SOCAN’s Composer of the Year. Her works have been performed and recorded by Phil Woods, JJ Johnson, Lewis Nash, Joe Locke, the Danish Radio Big Band, the Carnegie Hall Jazz Orchestra, and trombonist Michael Dease. From 2008-2010, Rosnes enjoyed her role as host of The Jazz Profiles, an interview series produced by CBC-Radio. Also in the role of jazz journalist, Renee has contributed two major cover story interviews for JazzTimes magazine, one with Wayne Shorter and his quartet (April 2013) and the other with the late pianist Geri Allen (September 2013). Aside from her work as a leader, Rosnes is currently a member of bassist Ron Carter’s Quartet, and often performs with her husband, acclaimed pianist Bill Charlap. The couple released Double Portrait (Blue Note) of which Downbeat wrote: “The counterpoint and compatibilities are so perfectly balanced, the selections and arrangements so handsome, that ‘Double Portrait’ is a prize.” The piano duo was also featured on four tracks from the 2016 Grammy award winning album, Tony Bennett & Bill Charlap: The Silver Lining, The Songs of Jerome Kern.